Cataract of the Bantry River, Donemark , in Ireland 1799. 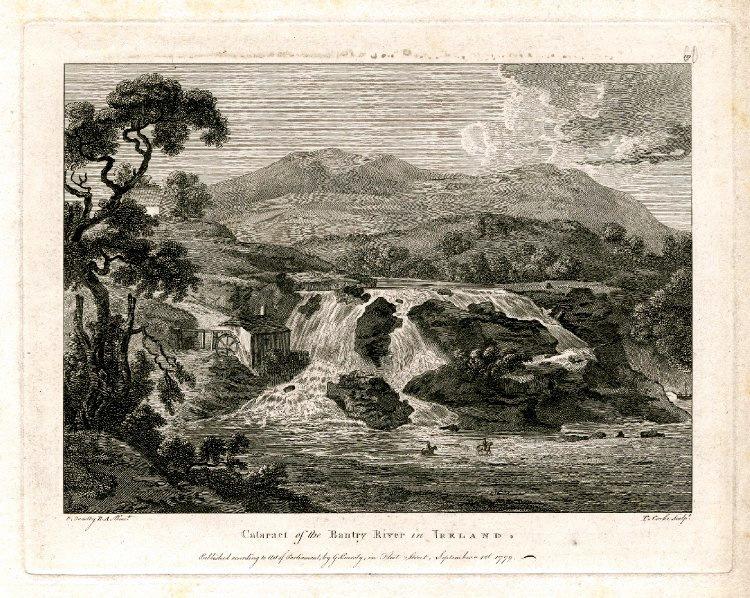 Cataract of the Bantry River (Donemark) in Ireland 1799. Note the mill to the left, Murphy’s on the Glengariff Road. There is a waterfall at Donemark near Ballylickey (close to Golf Club). There actually was an old water generator there, probably built in 60’s/70’s. The photo is of Donemark. The extensive remains of the mills built by the Murphy family of Newtown House (demolished) near Rowa are still intact in tow separate clusters in fair condition.